Overflowing Gutters: What Professional Solutions are Available? Property owners now appreciate the importance of gutters in the protection of their building’s walls and foundation. That said, almost every building these days has a rain gutter. Unfortunately, the gutters might become the primary source of damage to your walls and foundation. This is especially true when the water, which should flow into your gutters, overflows. The overflow causes more damage than the damage experienced in building with no gutters. This is attributed to the considerable force with which water hits the ground and the substantial amount of water. Professional seamless gutter repair for your property is your best solution for gutter overflow. The answer to your property’s overflowing gutters will primarily depend on its cause. The following are the most common solutions to the problem. Installing too few gutter guards or downspouts on your property will overwork your existing channels. This makes the rainwater overflow since it has nowhere else to go. 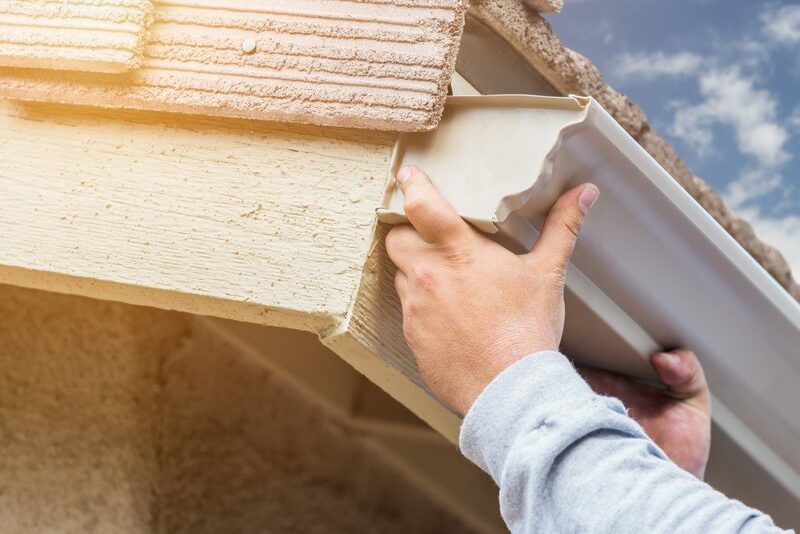 Adding more rain gutters and downspouts will help handle your area’s rainfall capacity and, therefore, resolve the situation. This is also the standard solution for places with a high rainfall amount. Snow is one of the biggest causes of gutter clogging and eventual water overflow. The snow compromises the slope of your gutters and warps them from your roof, making it easy for rainwater to overflow. The biggest issue that contributes to ice damming on your gutters is poor ventilation of your attic, which retains warmth and minimizes ice melting. If this is the cause contributing to your gutters’ overflow, its repair will include the improvement of your attic’s ventilation. This will maintain warmth in your gutters and roof, as well as promote the flow of snow by gravity off your roof and through your gutters. This is also a solution for gutters damaged by ice damming. The heat tapes used are heating cabled wires connected to the gutters to warm them. Heat tapes are generally used in areas with freezing temperatures and high snowfall. Heat tapes work optimally when combined with optimal attic ventilation. Most property owners opt to install their gutters themselves with the guidance of online tutorials. This often results in an improper tilt and pitch of your gutters, which is not easy to discern. A gutter pitch that is too steep, for instance, will cause the water to overflow your downspout. Gutters that lack an adequate pitch, on the other hand, cause water to accumulate on one spot. The solution, in this case, is a re-installation of your gutters, which is an added expense. Many people will assume that an overflowing gutter means it is blocked by debris. That said, they believe their properties are safe if they clean the gutters periodically and install a leaf guard, which is not the case. When faced with overflowing gutters, contact a professional to assess the cause of this and intervene appropriately. 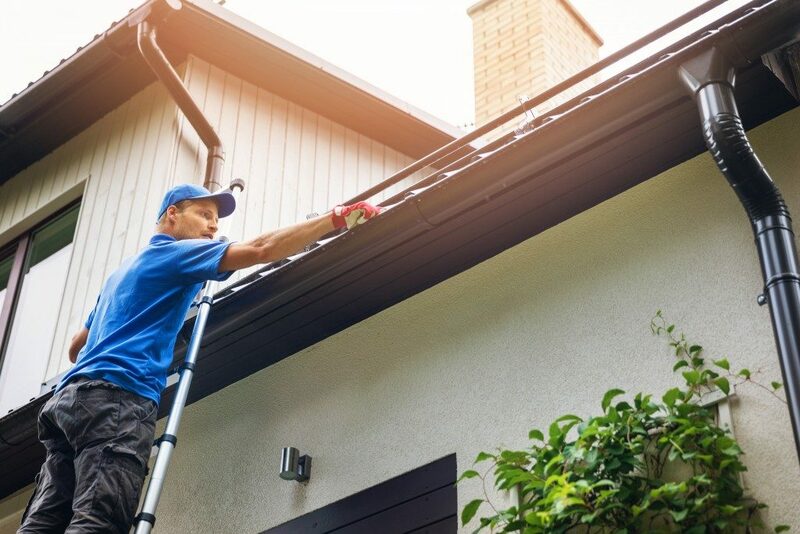 You might be tempted to diagnose the issue through different methods, but this often causes more extensive gutter damage. Postponing the gutters’ repair, on the other hand, causes considerable water damage.